This quote is central to a range of services that enables the concious energy consumer. The services build upon the activities of measuring, organizing and sharing your private energy consumption data. Originally this activity was done to keep you energy bills at bay, but today this is emerging as a collective effort to reduce global impact of greenhous gases. Statistics inform us that accsess to home energy information results in savings of 5-15% on the energy bill with comparable savings for the environment. 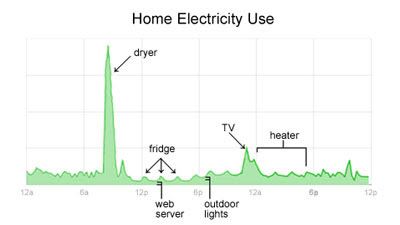 Google recently announced through google.org an initiative for the collection, organization and utilization of domestic energy consumption through Google Power Meter. Although they are not the first, it is worth noticing when the one of the biggest companies on collection, organization and utilization of data enters this field. With partners such as GE (selling fancy smart grids), Google gears up to push policy makers towards open data formats and information flow to enable competition.. Pros: Huge reach that, if sucsessfull, will have an impact. Cons: Is everything going to be on googles hands? 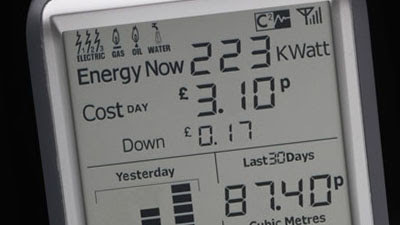 At home in UK CurrentCost looks to be one of the more successful after market energy monitors. It is also "hacking" friendly by including means of outputting the data in a readable format for sharing. Pros: Commercial availability is good. Easy to use. Many users. This enegy meter is sold with a personality and a much more louder "i'm doing something good for the environment" statement. It looks like a flipped shelf and is quite radical compared to CurrentCost, but might not be as intuitive as the CurrentCost device. The visual identity helps building this brand. There seems to be some issues with the companion software called Holmes that have enabled a paralell software and community. Pros: Designerly approach based on awareness rather than cost/kW/h principles. Open. Cons: Ease of use and accsess to data seems to be obscured by the design philosophy. A Norwegian initative by Origo that aims to measure, organize and share data though it's website. 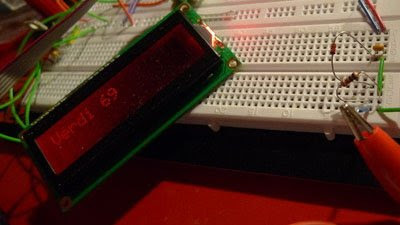 Basically they try to find the cheapest way to do it by just directly upload the information from the current sensor to the web and circumvent the local, presumably costly, display device. And they share their progress in a Do It Yourself friendly format. Pros: Trying to be cheap and ubiquitous. Cons: Some way to go before it is commercial. I bumped into Pachube while doing my resarch. 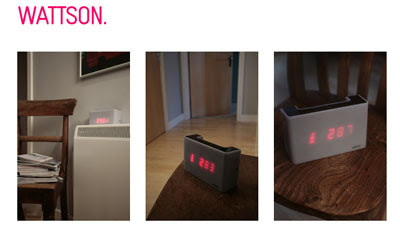 It is a sensor sharing API/Community. 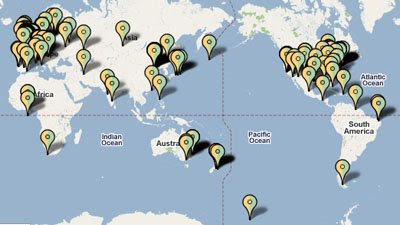 If you have a sensor online, you can share it at Pachube and the sum of sensors are available through The Pachube API to manipulate and use as you whish! Connecting your washing machine to twitter can be done through Pachube: "Miele @la-zy im am done washing for you!" Pros: The Internet Of Things is here! Cons: What to do with all the feeds? I would like to hear from you if you know of any more social power meters or if you have experience with such systems. Have you seen Visible Energy? Thanks, the site is a bit low on information but the iPhone gui looks nice!